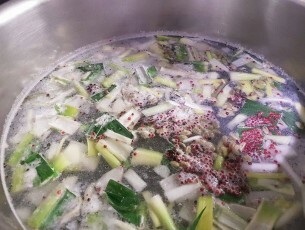 The base for all our soups and meals is our stock which is made every single morning from scratch using only the freshest, finest, natural ingredients. We make our stock in the time-honoured way with no bouillon or other artificial ingredients. That’s why our food tastes home-made – because it is!